Jim Shelton: Three years ago, I sat down with Priscilla and Mark to talk about education. My aim then was to understand their aspirations for education — and to help them figure out a path to achieve them. At the time, there was no Chan Zuckerberg Initiative — let alone any talk of a role for me in helping to build it. What became clear was that we shared some core beliefs: that humans have incredible untapped potential; that with the right educational opportunities and supports to address the needs of the whole child, every kid — regardless of their background, could achieve at the highest levels; that to solve the hardest problems and make the solutions available to everyone required using all of the tools (engineering, grants, investments, and advocacy). Most importantly, that if we could learn fast enough about how kids learn and develop best, and help teachers use that knowledge to tailor learning to children’s individual needs — many more kids could achieve their potential. So when Mark and Priscilla invited me to help build an organization dedicated to those ideals — with nearly unparalleled resources to do it — from the ground up, it was as if destiny called. But the price of moving away from D.C. was high, for me and my family, and it has only gotten higher. When combined with the year I commuted each week to California and my time in public service, my family has willingly put my work above themselves for the better part of a decade; and their willingness to sacrifice has never waned. Moreover, after two years of evolution and effort, the Chan Zuckerberg Education Initiative stands in a position of strength, with a cohesive and incredibly talented team, and at an inflection point, well positioned to deepen its impact and expand its reach. With all of that in mind (and a proper dose of humility about my essentiality), I have decided it is time to go home. 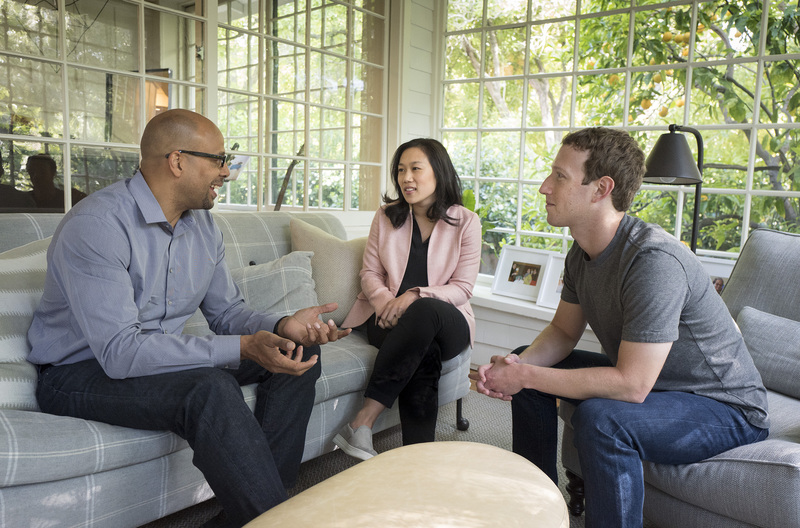 My last day as the Head of the Chan Zuckerberg Education Initiative will be August 31; but I will stay on as an advisor to Mark and Priscilla and will build an advisory council to continue to provide input on the Education Initiative’s direction. April Chou, who is a deservedly highly respected leader in education, philanthropy and management, and who currently serves as Vice President on our team, will step up as interim Head of Education. I know she will carry the work forward with wisdom and grace. I am in equal parts sad about leaving and proud of the team that we’ve built. The team here spans a wide variety of backgrounds and talents, including educators, learning scientists, academics, and engineers. What they share is a deep commitment to expanding opportunity, especially for those most underserved, an unshakable belief in what is possible, and deep care for each other. And while that makes it hard to leave, it is the team’s strength that makes me feel confident that the work will continue to build momentum. That work, which I detailed recently in a Medium piece, has already established a track record of genuine accomplishment, and now stands at an inflection point. Fundamentally, our work aims to help educators approach students as whole, unique people with their own sense of purpose and infinite potential — and provide teachers with knowledge, practices and tools that help them help students achieve that potential, aided by insights from rich and rigorous science and research. Redefine children’s success in ways that go beyond academics, encompassing other aspects essential to thriving in the real world, such as physical and mental health, social-emotional and interpersonal skills. Make learning science a greater part of education and accessible to teachers and other practitioners. Ready the breakthrough Summit Learning Program to meet the unique learning needs of students across the country. Provide more holistic and personalized education in cities, towns, and states. In addition, we’ve made investments that enabled our partners to double the number of Black and Latinx students and girls taking AP Computer Science; to provide free SAT preparation to nearly half of SAT takers; to provide glasses to thousands of low-income kids; and to help communities provide integrated supports to students in need. With a leadership team that includes recognized talents like Bror Saxberg, Brooke Stafford-Brizard, Jon Deane and emerging leaders for whom it’s simply a matter of time, the Chan Zuckerberg Education Initiative will build on those achievements, ensuring that teachers and schools have practical tools and crucial insights to do their work better. They’ll continue to help the field learn faster about how children learn, and help teachers and leaders ensure that schools always see students as whole children rather than the sum of their academic test scores. My confidence in the team to carry that work forward without me is unwavering. I haven’t figured out yet exactly what I’ll do next. All my life, I’ve believed that education is the most important force in narrowing gaps of inequality, in bringing us together as people, and in unlocking the power of those seen as having little. And, I still do. I have also felt the struggle for better opportunities and lives for all young people, has always, while hard, been moving in the right direction. But of late, that seems in doubt, amid threats to the fabric of our democracy and rising inequality; and requires a different or additional response. What I do know is that I’ll work to respond to the urgency of the current moment, but my focus will remain on creating the country and the world all of our children deserve. So, I welcome your ideas and advice. It is a great privilege to get to do work that has the potential to truly transform lives. I am grateful to Priscilla and Mark for creating the opportunity; but most of all I am indebted to every single member of the team for the honor of doing this work and building this organization with them. I am excited to see what comes next.